If you missed our open days, tours of the school are always available. Please contact Mrs Moore in our office to arrange an appointment. 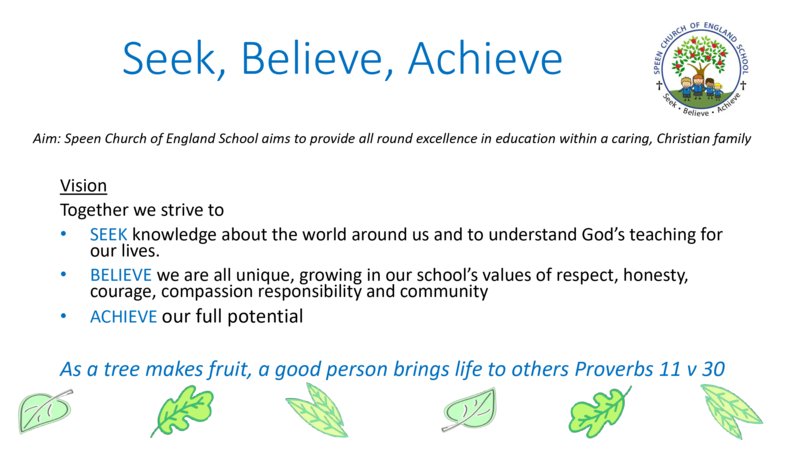 Parents seeking a place at Speen C of E School for admission under Category 6 (attendance at a local Christian church) should also complete the Supplementary Information Form below, in addition to the Bucks County Council form.